Ultimate Watersports was founded in 2014 by avid wakeboarder Lindsay Cannon. He grew up on a farm 75kms out of Geraldton and travelled into town everyday when it came to high school. It was during these years he found his love of watersports. It seemed the apple didn’t fall far from the tree as his father and uncles were very keen Waterskiers. His father Geoff was a former state champion. Lindsay set out to create a watersports experience that exceeded the safety requirements, was value for money, economically viable, appealed to a greater audience and left their customers with memories for life. It was a difficult journey and at several points along the way there were serious doubts as to wether it was possible. However, after 3 years Ultimate Watersports opened for the very first time on boxing day 2016 and things have only developed from strength to strength from there. Everybody remembers their firsts. The first time they rode a bike, their first friend etc. Our staff love sharing in that experience. 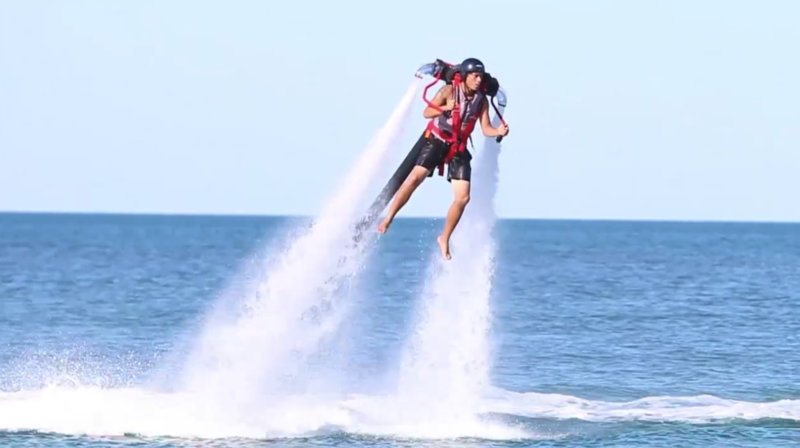 The first time our guests take out a jet ski, or fly up on the flyboard. Even their first time on a wakeboard or paddling with the sea lions! Teaching someone through this process is a truly rewarding experience and one we are very passionate about. We aim to make sure that a visit to Ultimate Watersports is one that lasts a lifetime.